The most popular accessory for the Matchbox is our battery mount for Sony NP-F. 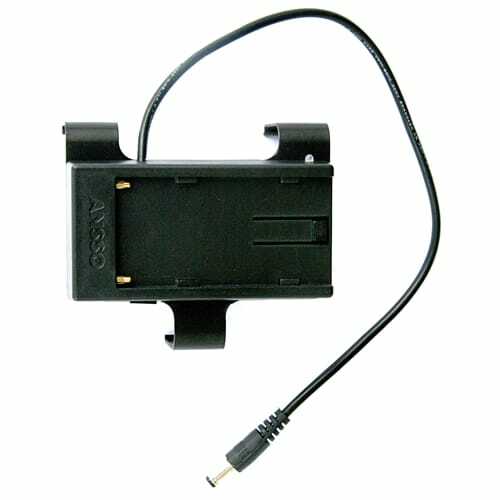 This lightweight Sony NPF battery adapter securely attaches to the light with an aluminum frame and a locking battery plate. Power your Cineo Matchbox on-camera light using the pervasive Sony NP-F type battery with this slick adapter that neatly attaches to the back of the Matchbox while retaining the 1/4″-20 mounting feature. The Sony battery mount’s aluminum bracket fits perfectly and securely onto the Matchbox frame, providing a ‘one-piece’ feel, and the button lock-release for the battery provides security and quick swaps.